The color pink represents compassion, nurturing and love. It is a very positive and comfortable color, which gives the feeling of warmth and calmness. Bring this sweet and bright Pink Possession Bed Sheet and enhance the look of your abode. Buy Pink Possession Bed Sheet from our online shopping portal Swayamindia.com, and enjoy great deals and promotional offers. Get mushy and comfy with this calm and relaxing Beige color bed sheet. 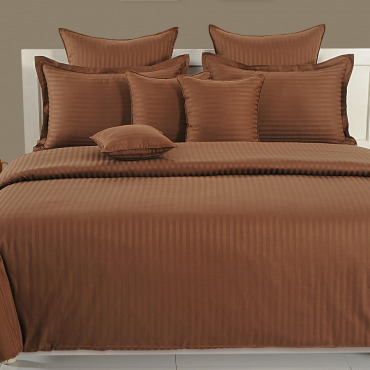 You can redesign your bed room with this subtle and classy Beige color Bed Sheet which is designed in self stripes. Buy Beige Basics Bed Sheet, Designer Fitted Bed Sheets from our highly secured online shopping portal Swayamindial.com and a sense of comfort is sure to embrace you once you enter your bedroom. Raspberry and Kindness, yes, the fruit of kindness is where we have drawn the design of this bed linen from. As ravishing and tantalizing raspberry taste, we want to offer you a bed linen that will let you feel the same, true to the name our bed linen is derived from. As you slip into your bed with our bed linen, renew your and pump up your mood. Just dip into the delicious sea of mango and have the lovely experience and feel the aroma of style and beauty. There is nothing more pleasant to your eyes other than this beautiful bed sheet. The bed sheet will make you fill with the freshness and spread positivity all over to your room and house. Preferring black colors above all colors acquires a mystery to change on the home décor with the vivid styles. Be with the style that makes the comfort and the touch of the external look to the bed. 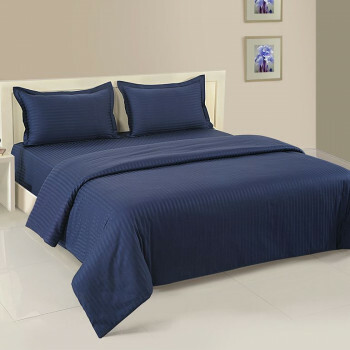 Buy black beauty bed sheets from our online shopping portal swayamindia.com that create a balance of your interior. 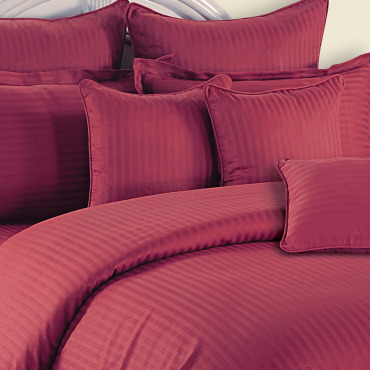 Pamper yourself and heal yourself with this beautiful mystic maroon color bed sheet. These days, you really need a perfect time so that you can relax in peace. This bed cover will rejuvenate you when you lay down over them so you can face daily life challenges. The color that represents the love and passionate feeling is brown. This color also inspires us to remain grounded, and makes us to live with stability. You can make your life much more passionate and full of energy by diving into this delightful chocolaty color. “Go green” because green denotes freshness, and calmness. Welcome the beauty of nature in your own abode with this classy Green Garland Print Bed Sheet from Swayam. Make your room interior look more fresh, sweet and lively.. It is made up of high thread count and of mercerized pure cotton yarn, which makes you feel very soft, comfortable and luxurious when you will be in between the sheets. Here comes something refreshing and soothing which will enhance your room interior more beautifully. Yes, the Auqa Turq Bed Sheet from our Sonata Collection. This color is associated with calmness, coolness, sophistication and energy. 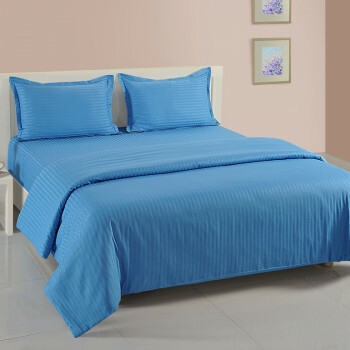 Buy Aqua Turq Bed Sheet from our highly secured online shopping portal Swayamindia.com, and avail the benefits of discounts. Gold can be the only color that can bring you and your home a royal look. If you want or desires of the dream of living in royal style, then you can make your dream true by just changing a small thing of your home. Paint your home with the royal gold color and turn your simple looking home to a palace. Jazz up your cozy nights and add that zing and youthful spirit to the naughty moods, making the togetherness more special and ultimate comfort and luxury feel given by the smooth satin bed sheets of Sonata Classic Jazz collection from Swayam. The high thread count mercerized cotton satin damask weave fabrics brought to you in vivid shades with a vibrant appeal to match your well planned décor and interiors. These Bed Sheets are available in 6 shades. The collection comprises of duvet covers and comforters too. Smart, comfy, sober and uber cool collection in subdued colors by Swayam. The tonal shades attract the eyes and turn the milieu pristine. The self satin stripes in damask weave brought together for the connossieur of fine taste in subtle pastels in 7 colors including white. The creamy classics, the pinks and mauves emitting that serenity that you yearn for at the end of a hectic & busy day. A perfect composite of luxurious excellence, soft glamour and defining shades. An aesthetic and leisure appeal for your bedrooms. The interplay of contrasting tones in patch worked bed linen invites you to marvel at the beauty of subtle tones so aesthetically blended with each other that it leaves you full of romance and divinity at all time. Highly mercerized, good thread count, soft cotton fabrics have been used to create these masterpieces so that each and every piece should adorn any space with great aplomb and panache. So what are you waiting for, shop for these beautiful Sonata Classic Coral or Sonata Classic Jazz or Sonata Gold Bed Sheets at Swayam India.